Precious one, so small , so sweet , dancing in on angel's feet , straight from heaven's brightest star , what a miracle you truly are. 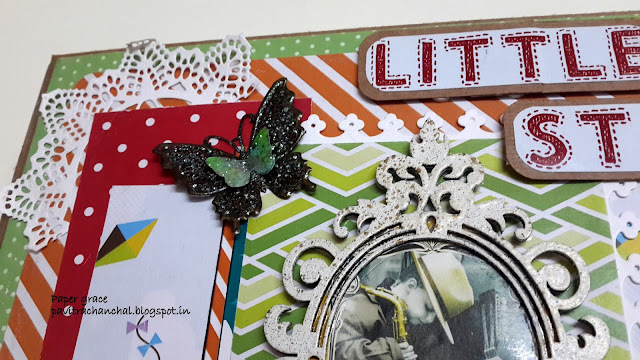 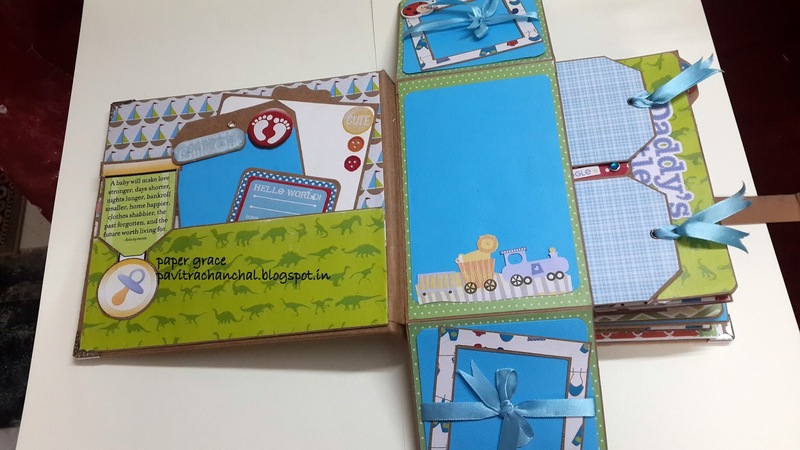 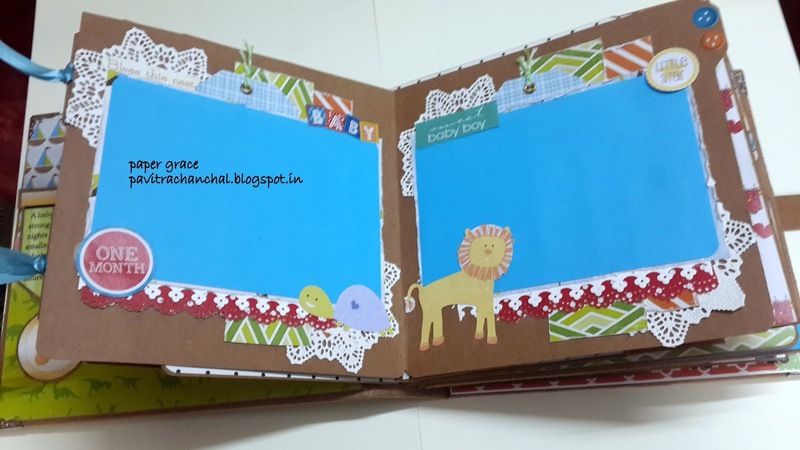 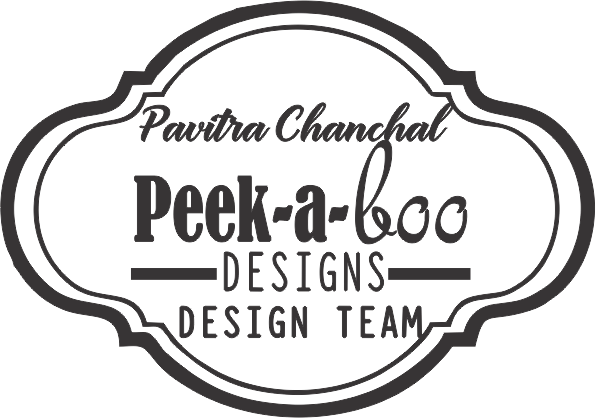 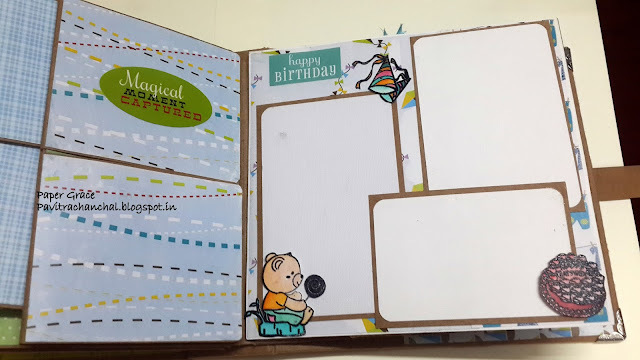 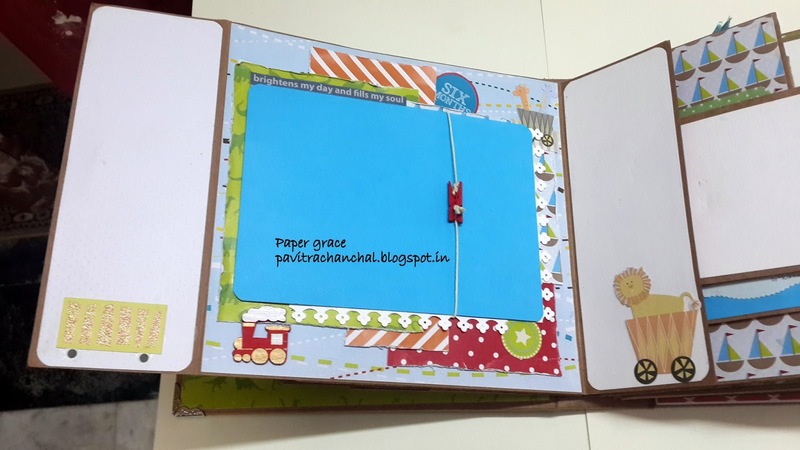 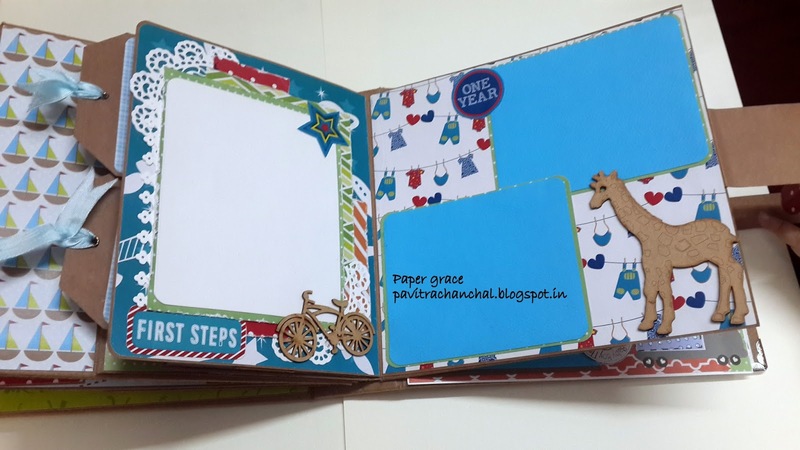 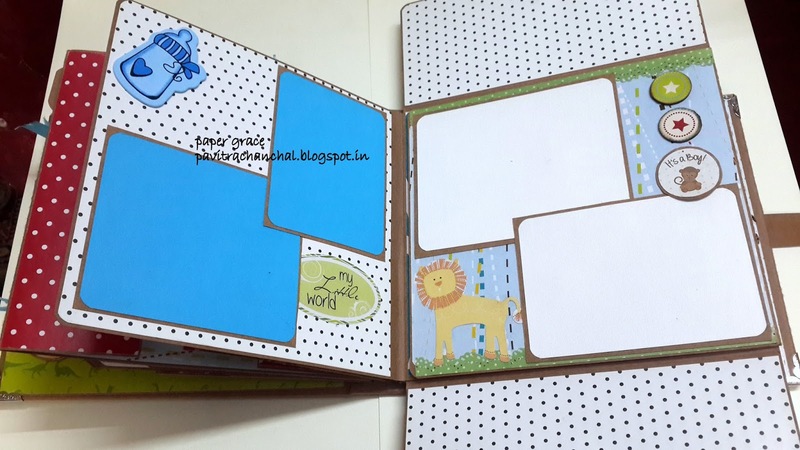 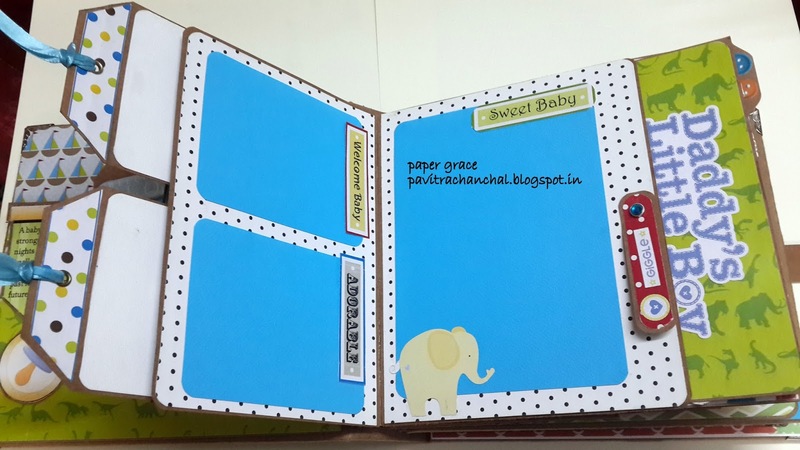 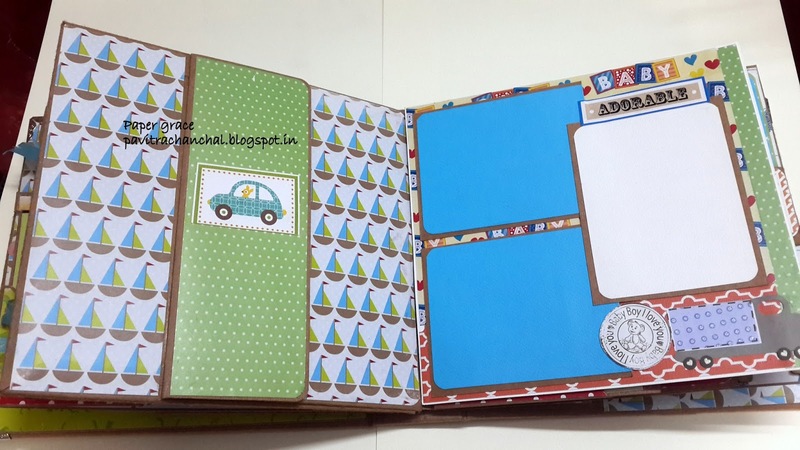 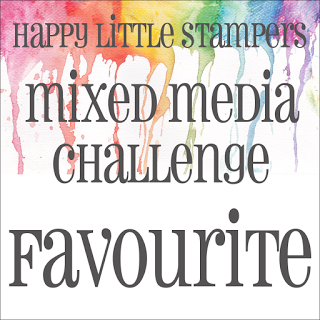 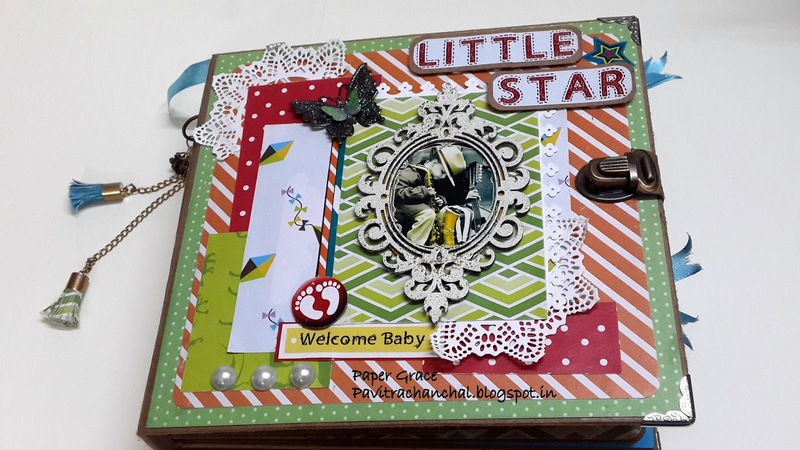 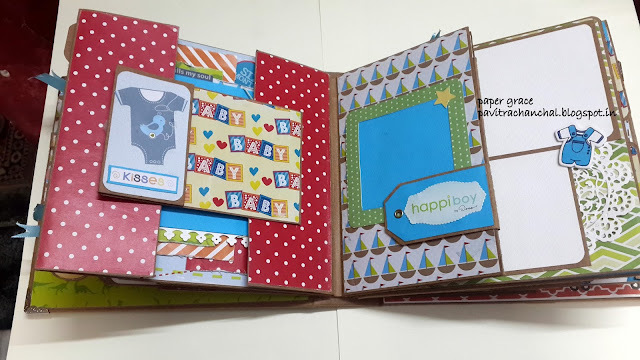 Today's post is about a baby boy scrapbook with many interactive pages and flaps. 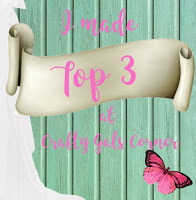 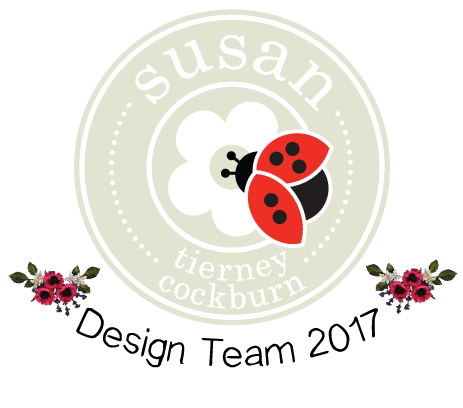 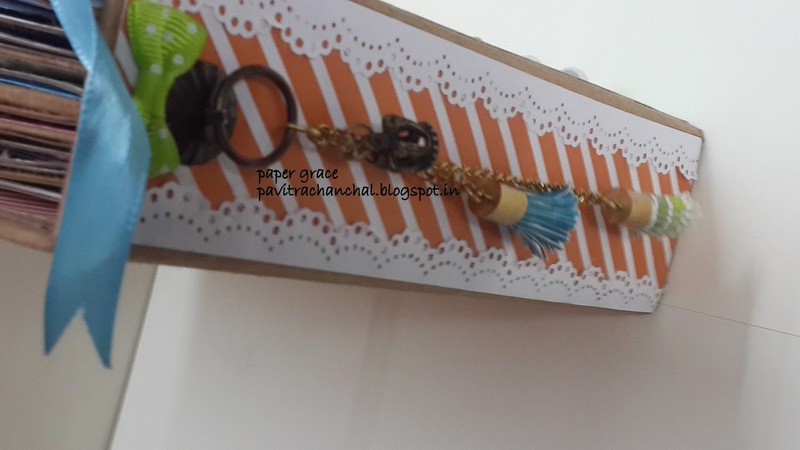 I made the cute tassels from the pattern paper. 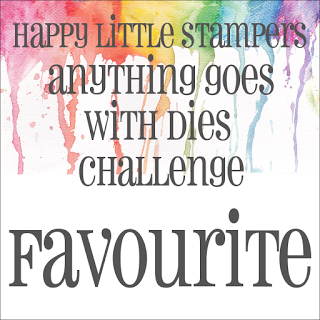 Isn't it cute i totally adore them.